Toothwort is an odd looking plant, it is similar to the Broomrapes but looks more fleshy and pink. The photo below I took in some woods just behind where I live, which is about 3 miles from the river Wye. Well, reference to the Botanical Society of Britain and Ireland web site does show recent records for this species in the tetrad just south of Monmouth, a tetrad which has the Wye running through it and records from the recent past show that it was present throughout the region. This is not a rare plant but equally you do not come across it every day of the week. There is a lot of it growing in a hedge made up mainly of Hazel which runs across from the Offa’s Dyke car park to the Devils pulpit overlooking Tintern Abbey. This year (2019) I found lots of it growing along a path leading away fro Brockweir and following south towards Tintern. This path follows to course of the Wye but is a little way above the river bank. 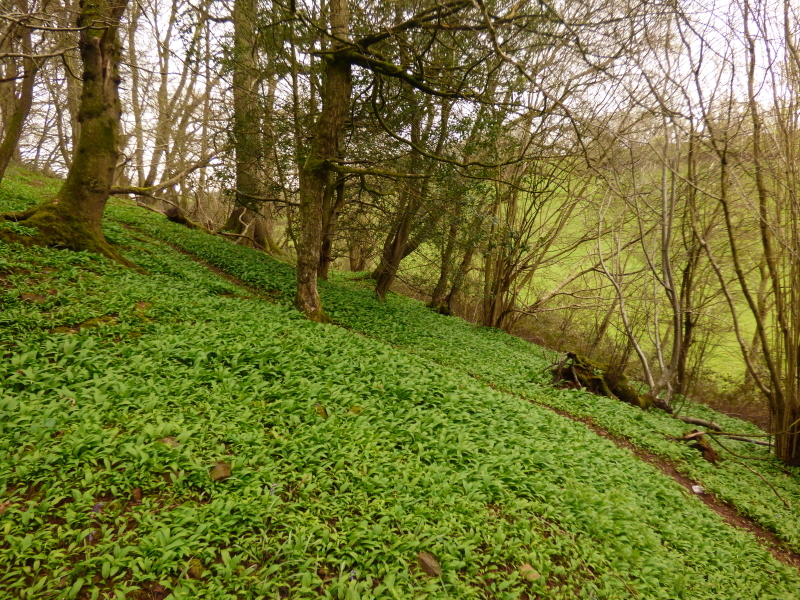 It also grows in the woods behind my house I had gone up there in order to photograph the Ramsons which coat this area, I was just a tad too early, they mostly had buds showing and just one had the flowers, however I was lucky enough to find about 10 plants of the Toothwort. This grows in amongst the Ramsons and I suspect that in a week or two time the leaves of the Ramsons will have developed further and be up above the toothwort and it will be very difficult to spot it. So timing is all important. Toothwort is a parasite, a total parasite, meaning it has to rely entirely on other plants for its energy. Many plants are partial parasites, having some chlorophyll, and thus being able to produce some of their own food. Examples are mistletoe, red bartsia and yellow rattle. The host plants for Toothwort are Hazel and other trees and shrubs.